Designing beautiful living spaces for all types of homes, all types of people and all types of budgets. Visit our beautiful showroom where you can test drive your kitchen or bath before you buy. Good design doesn't have to be expensive. Nearly 30 years of designing and executing kitchen projects has taught me there are many different ways to get to a desired end. We are a general contracting firm focusing on kitchen and bath remodeling, custom cabinetry and fireplace remodeling. If we can design it, we can make it! Design Haus is committed to creating beautiful spaces that work for you! We recognize that each client’s lifestyle, personality, and resources are unique. Whether your space is large or small, let my team of licensed professionals help update and improve your living area. Full service interior design, specializing in kitchen & bath design. With a wide selection and very competitive pricing, we are your best source for tile and stone flooring products in the bay area. Denise Gilbert is an established interior designer with 25 years of professional experience bringing years of model home design expertise to the residential customer. We're dedicated to providing you with the most creative design solutions, highest quality products and unparalleled customer service. People think that remodeling has to be a painful process. It doesn't have to be! We help our clients through the process so that they can experience the joy of a well designed, beautiful kitchen! We are a full service design center with a vast knowledge of the remodeling industry. Visit our showroom where we are ready to help you with any of your kitchen & bath design needs. 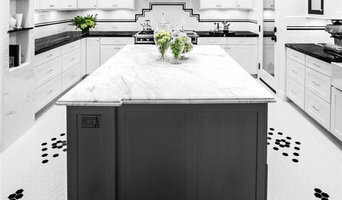 Founded in 1982, Diablo Valley Cabinetry is a family-owned and operated company known for its customer service, quality products and excellent design professionals. 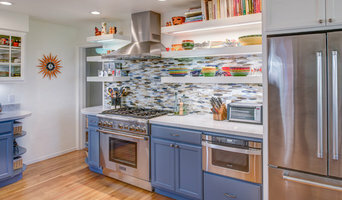 SKD Studios is a full service kitchen and bath and interior design studio. We offer a vast array of custom and semi custom cabinetry, as well as interior design services. Alie Zandstra ASID is a full service Interior Design firm with 35 years of experience working on high-end residential projects. Contact Alie today for your home design needs! With over 33 years of experience, we have a passion to satisfy the unique needs of each of our clients and place great emphasis on thorough, imaginative design and value. 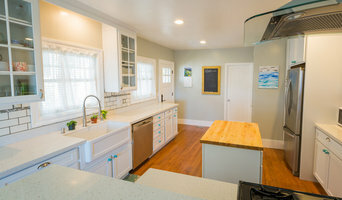 Achieving flawlessly functional and attractive kitchen and bath design in El Cerrito, CA requires a professional who specializes in these spaces. Not only do these rooms see the most action of the house, but they require the most planning and attention to detail. When designing them, a bath and kitchen designer must keep a strong focus on the homeowner's wants and needs while also considering things like potential resale value. Read the tips below to learn how to choose the perfect El Cerrito kitchen and bathroom design professional for your home project. What does an El Cerrito kitchen designer or bathroom designer do? A kitchen and bath design professional in El Cerrito, CA knows to take all of these crucial points into consideration and can help plan the layout, materials and overall look and feel of either of these rooms in your home. Kitchen designers, as well as bathroom designers, are constantly staying on top of trends in the ever-changing industry. The designer also knows the best layout for your room, and can configure the layout for optimal functionality and utilization of the space. In the kitchen the refrigerator, stove and sink should be laid out in relation to one another, and it should be seamless and easy to move from one to the other. A El Cerrito kitchen and bath designer will know how to work with a contractor and architect to plan the flow of the room to work best for your needs. Here are some related professionals and vendors to complement the work of kitchen & bath designers: Kitchen & Bath Fixtures, Appliances, Tile, Stone & Countertops, Cabinets & Cabinetry, Woodworkers & Carpenters. Before you talk to bath and kitchen designers in El Cerrito, CA, consider how you will use the room. For your bathroom, is it necessary to have a bathtub for bathing kids or pets, or would a shower suffice? Perhaps all you need is a half bath for downstairs or a smaller guest bath for occasional use. Similarly, for kitchen renovations consider your cooking habits. Do you eat out every night but need a space to entertain in? If so, a smaller kitchen might be fine for you, with a space devoted to wine storage or a bar, whereas others might prefer a bigger stove or extra cabinets. When interviewing El Cerrito kitchen and bath designers, make sure to share these habits so they can best fit the room to suit your needs. 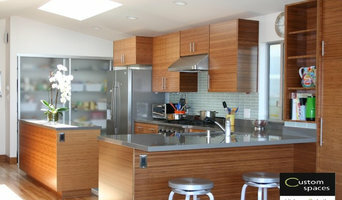 Find an El Cerrito kitchen designer or bathroom designer on Houzz. Narrow your search in the Professionals section of the website to El Cerrito, CA kitchen and bath designers. You can also look through photos in El Cerrito, CA to find a kitchen or bathroom you like, then contact the professional who designed it.